Republican candidates are pulling out the stops in local elections, pandering to every fear and concern that alt-right voters might have about their country. A racist postcard has been arriving in the mailboxes of Edison, New Jersey residents this week, just days before the town’s elections on Tuesday—and it's beyond hostile. The postcard panders to anyone who despises Asians, Mexicans, Indians, and NFL players who refuse to stand for the flag. 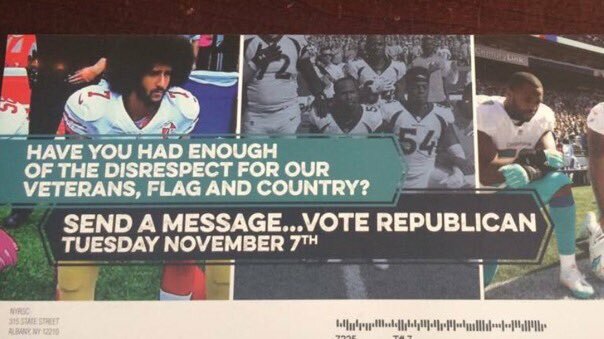 The disrespectful postcards has some wondering about how and where they originated, with no Republican candidates coming out to denounce such actions.